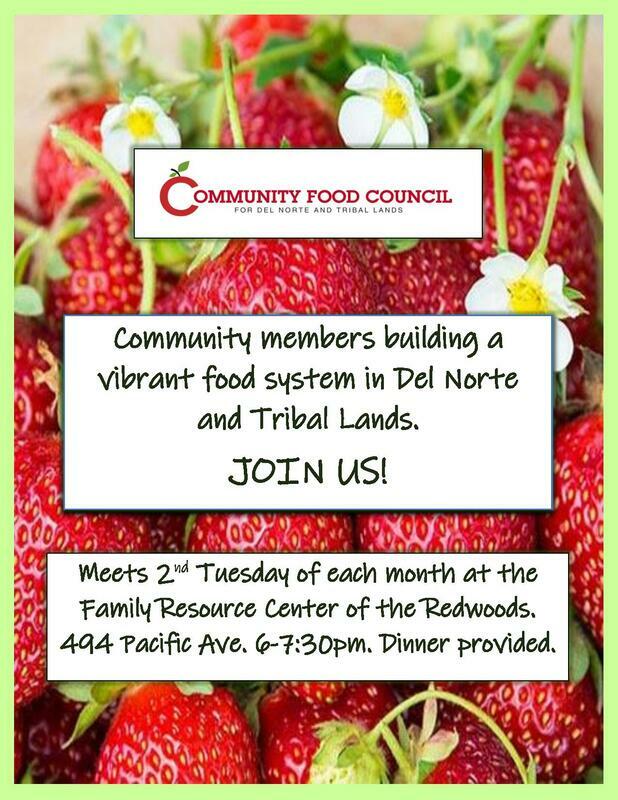 The DNATL Community Food Council meets the second Tuesday of each month at 6:00pm. Meetings are held at the Family Resource Center of the Redwoods at 494 Pacific Avenue, in Crescent City. We serve a light supper at our meetings. All DNATL residents are welcome - email us with any questions and we hope to see you at our next meeting!